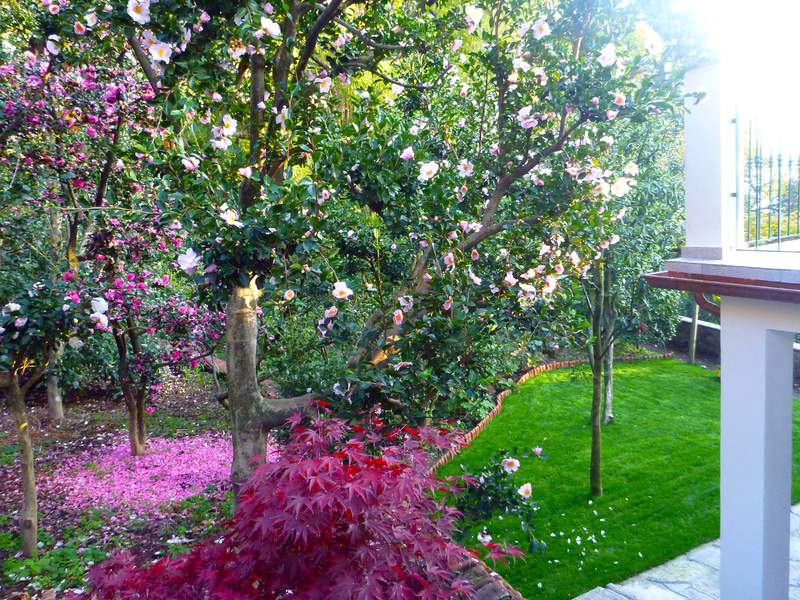 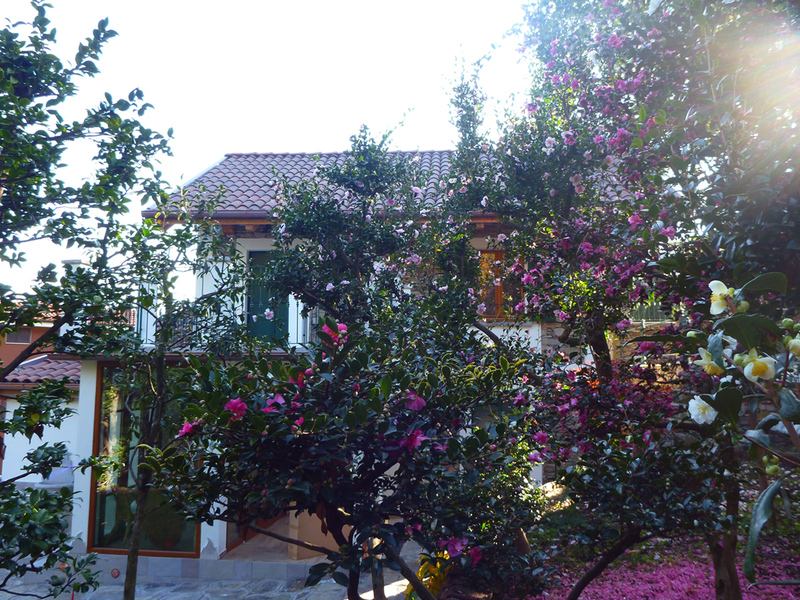 The guest house, a natural oasis in which to relax, is located in the historic garden of Villa Anelli in Oggebbio, on the Lake Maggiore. 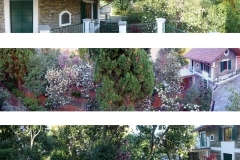 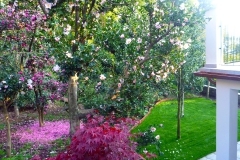 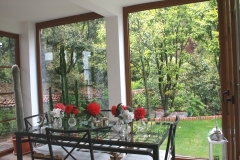 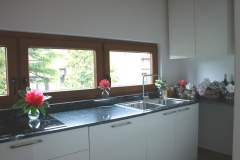 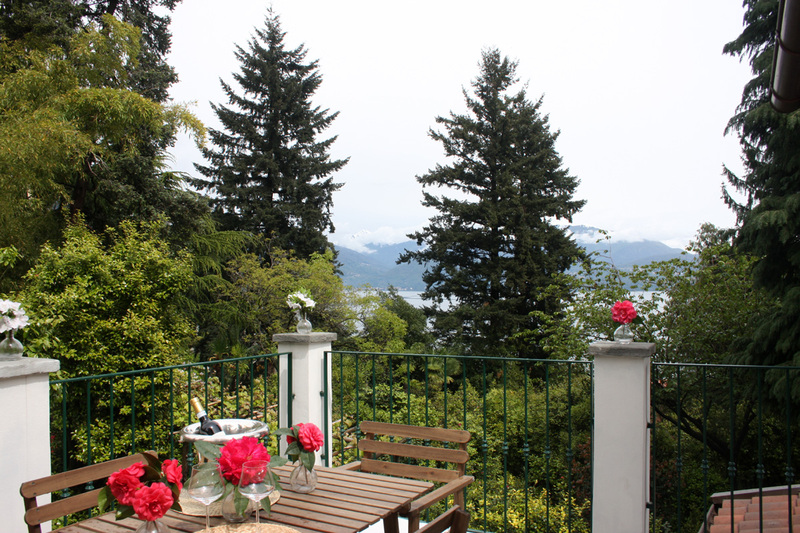 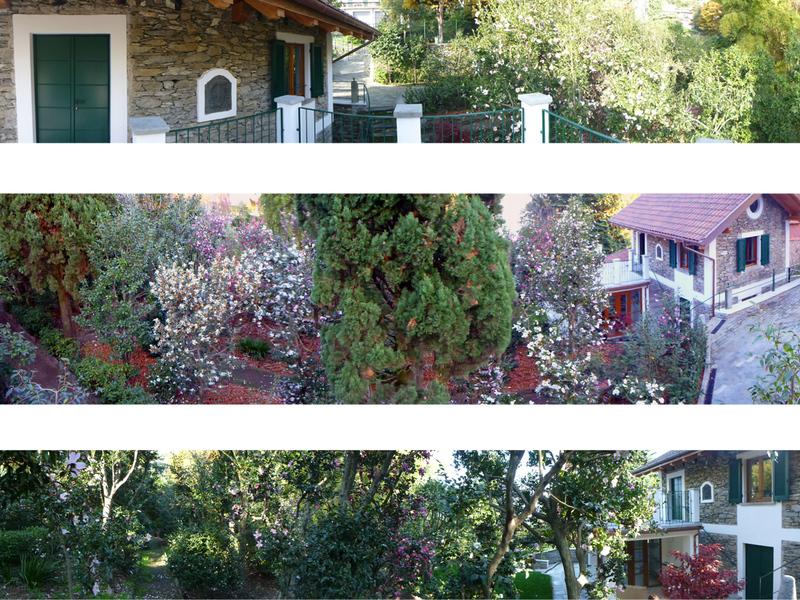 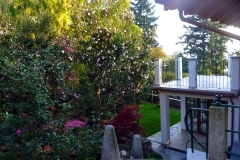 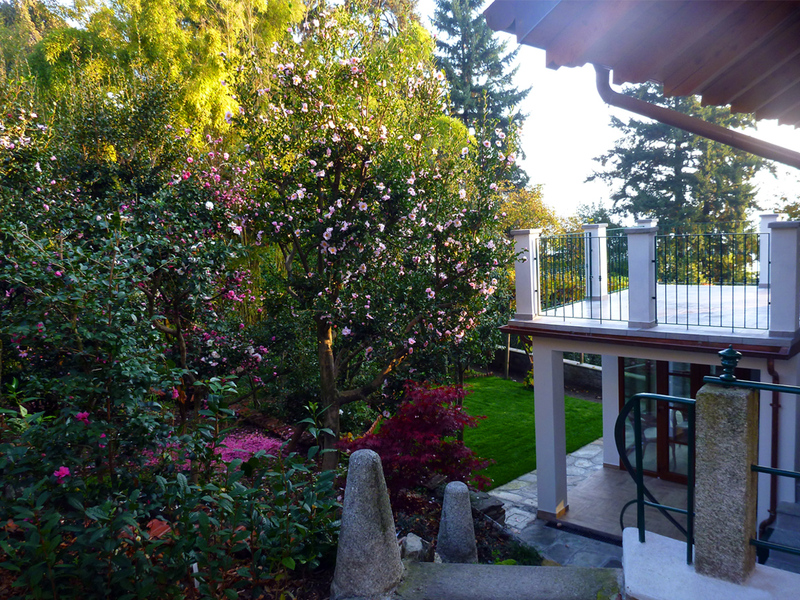 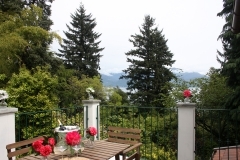 Close to the Swiss side of the lake, the Villa is easily accessible, and can be reached by car. 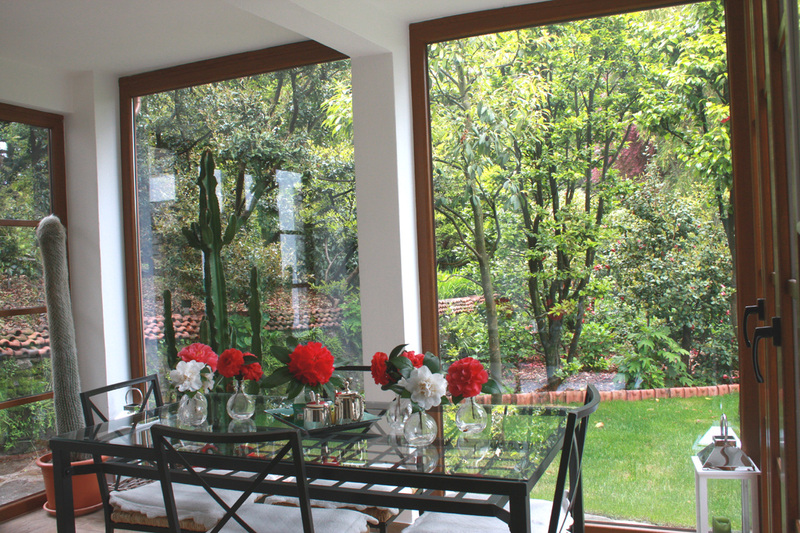 The airport in Malpensa is one hour away, whereas Milan and Turin are one hour and a half away. 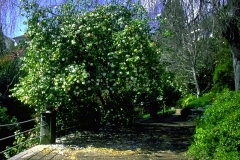 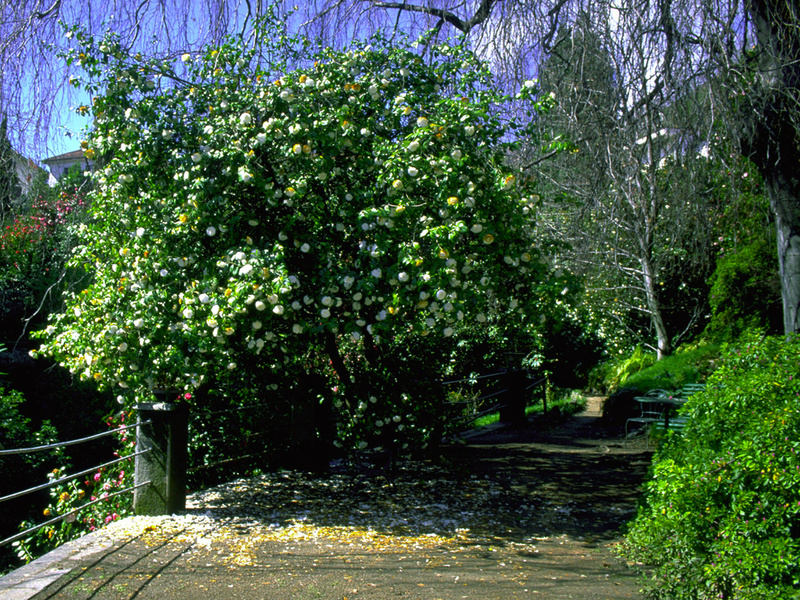 The garden, which started in 1872, allows camellia lovers to experience the proximity of large mother plants, and to immerse themselves into a colourful collection of camellias of rare shapes and colours. 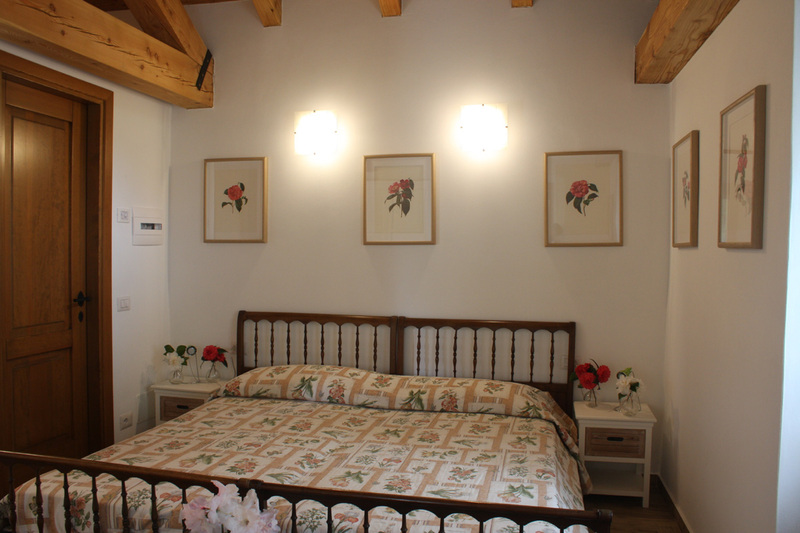 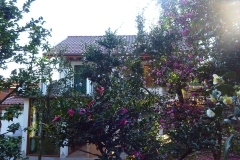 The guest house, which is open all year round, offers pleasant stays surrounded by blooming flowers in spring and winter, by lovely cool weather in summer, which is typical of the lake, and by wonderful colours and fruits in autumn. 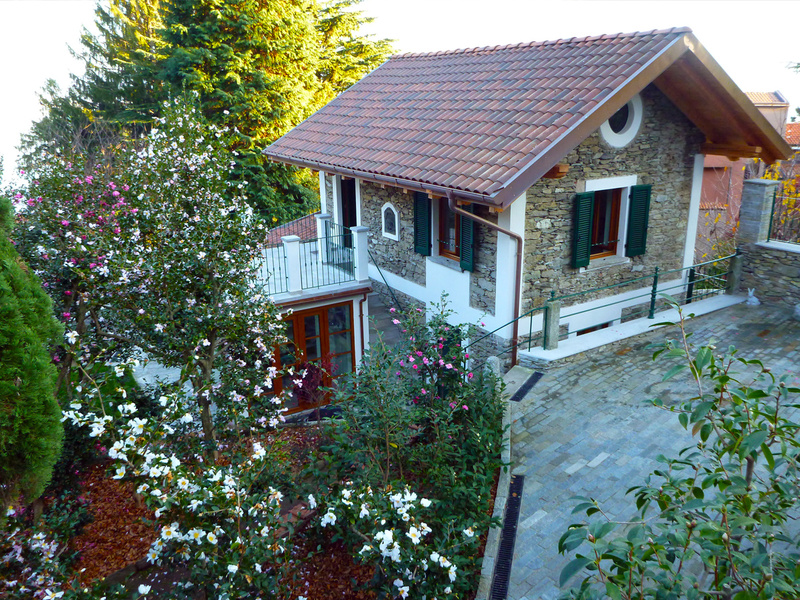 The house, which used to be the home of the gardener, is a rustic stone-house typical of the 1800s. 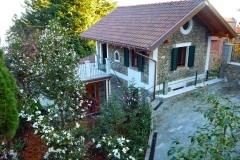 It is on two independent floors, with a glazed porch on the ground floor and a terrace on the floor above, overlooking part of the camellia collection, the lake and the castles of Cannero. 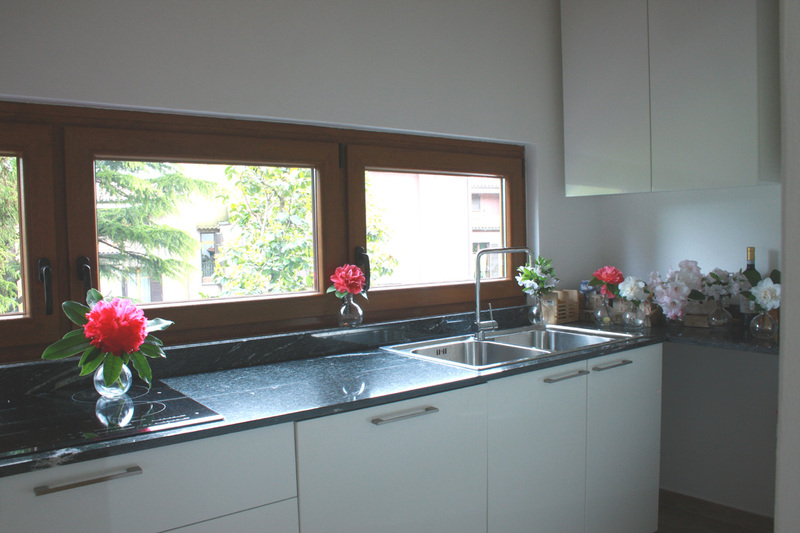 We offer two solutions: Giovanna and Barbara. 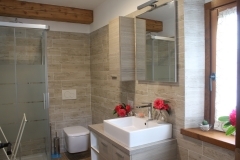 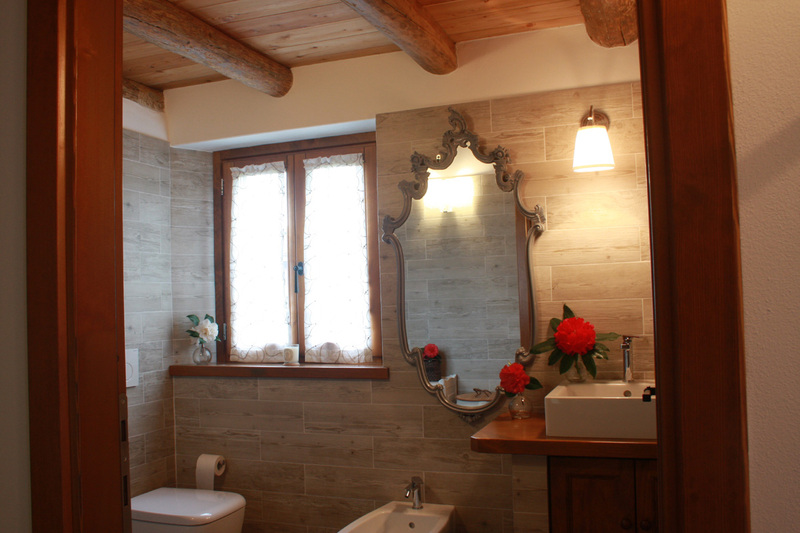 Both solutions are characterized by exposed beam ceilings and an antique decor; they can accommodate two or three people, depending on the need. 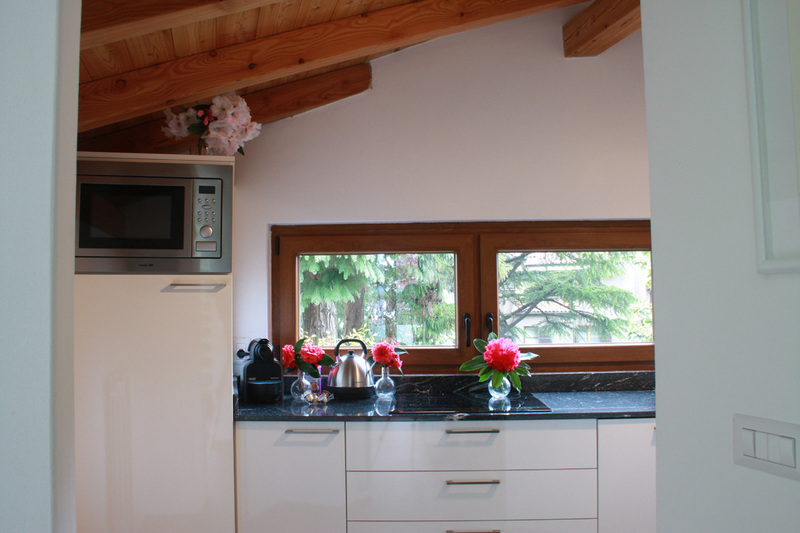 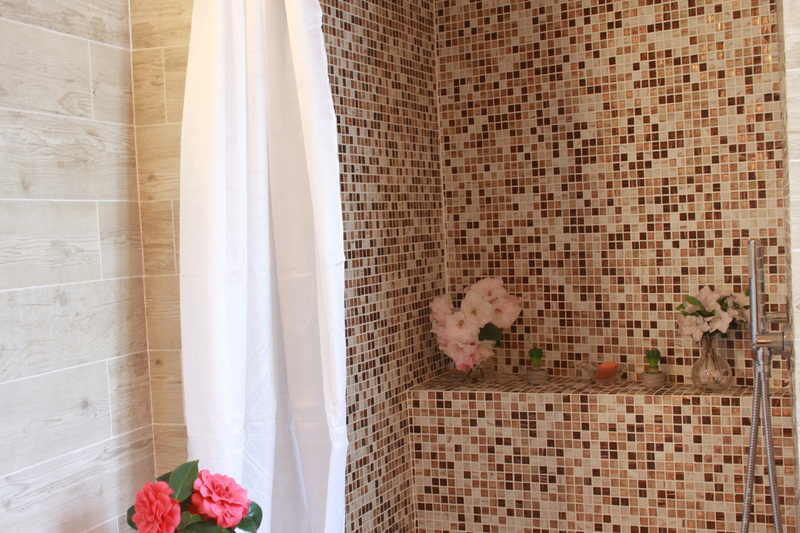 One apartment, Giovanna, includes a bedroom, a private bathroom and a living room with a small kitchen. 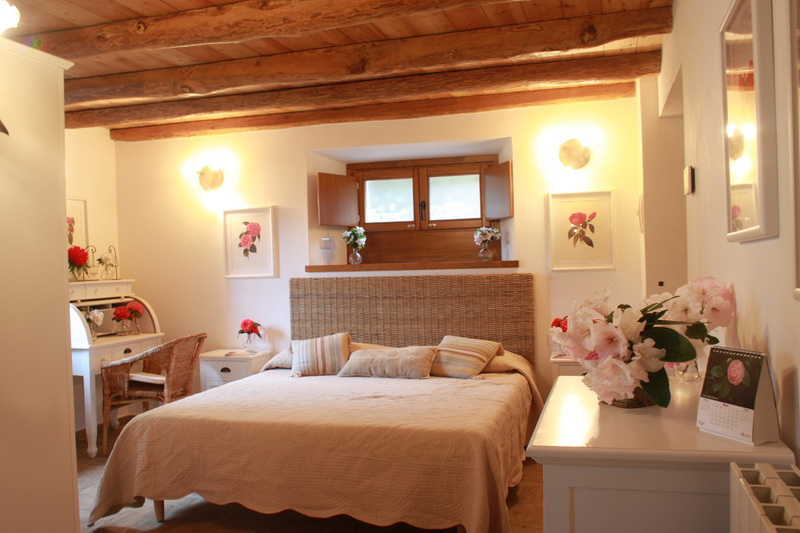 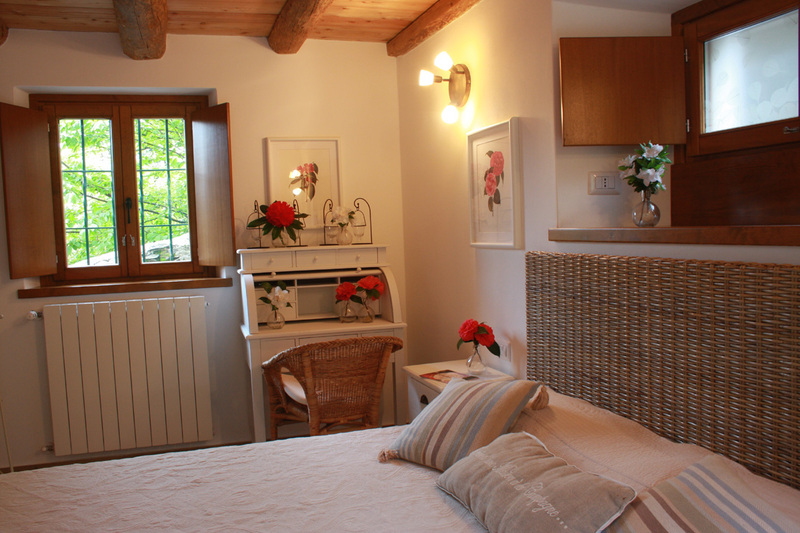 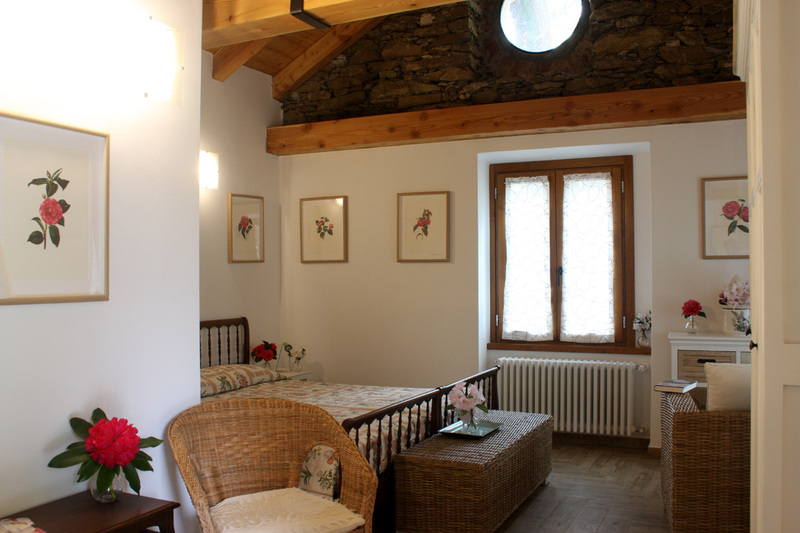 The second, Barbara, is an indipendent double room provided of private bathroom, and use of the terrace. 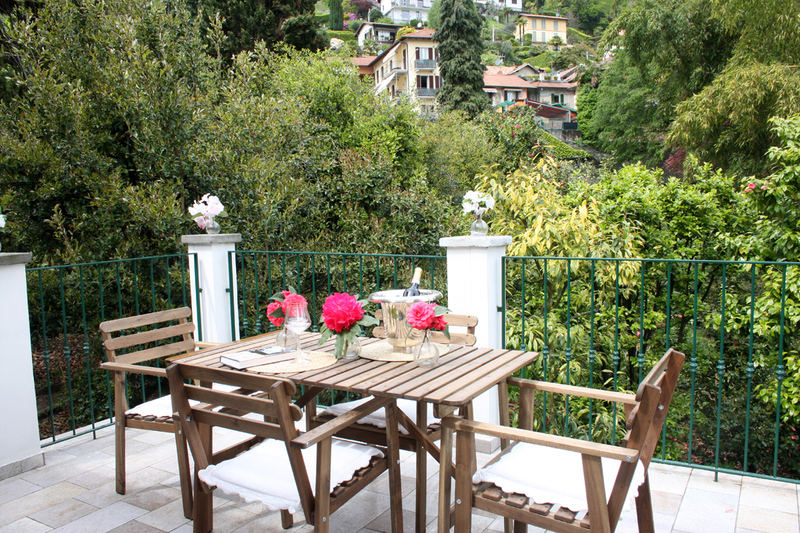 Wifi is also available, as well as lots of advice and support on activities to make your stay memorable, such as visits of other nearby privat historical gardens, or delicious restaurants to enjoy traditional and affordable food. 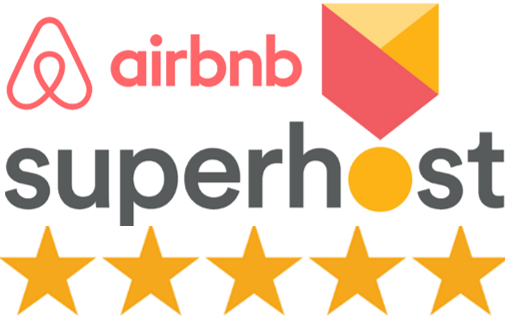 We are proud to communicate that, in a continued effort to improve the quality of the service we offer, since 2017 October 14th The Golden Camellia is a superhost 5 stars member on Airbnb.